I had high hopes for Apple Music. I really wanted it to work and become my default music streaming service, but after the problems I’ve experienced over the last couple of weeks, I’m disabling it altogether. My problems started about a week after installing Apple Music. While Apple Music Radio and Playlists worked well, adding music to my library is nothing short of a mind-blowing exercise in frustration. I started to notice that whenever I added an album to my library, not all of the songs would get added. When I looked at the list of songs, there would be some missing—sometimes, most of the album would be missing. When I clicked the “Show Complete Album” button on my Mac, all of the missing songs would show up with an “Add” button beside them. Why do that when I already told Apple Music to add the album? However, if I decide I really want those songs, when I click the “Add” button, nothing happens, which seemed odd to me. If adding the songs is an option, why won’t they add to the library. I went to my iPhone and tapped “Show Complete Album”—when I tapped on the song to add it, the option was to “Remove from My Music.” This means that my iPhone thinks it’s already added, but the song isn’t showing up. What I had to do is go through all of the songs, remove them from the library, and then click add to get them back in the library. Other strange things have happened too. 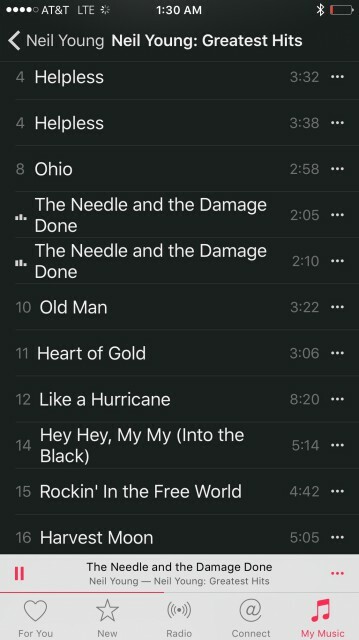 For instance, I added ZZ Top’s “The Very Baddest” album. Instead of downloading all of the songs from that album, it downloaded them from multiple albums. So now I have several ZZ Top albums, each with a few songs on them. Apple Music also decided that I like Electronica and Pop music. I found this out by going to the setup screen to redo my entire account and see that if that helped fix my original problem. I deleted the categories and bands that Apple Music put in, but it didn’t help the overall problem. In another case, I own Led Zeppelin IV—and all of their other albums. 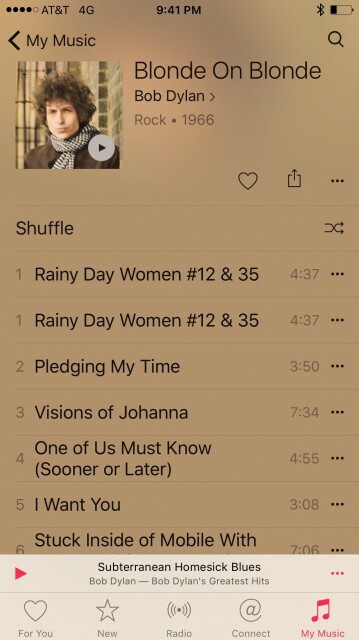 However, when I look at it in Apple Music, it doesn’t recognize that I have it and gives me the option to add it to my library. With all of the other problems I’ve been having, I didn’t even bother trying that. I tried adding one Neil Young album six times and it just wouldn’t go into my library. I finally just gave up. If all that wasn’t enough, none of my devices seem to sync, so my Macs don’t have the same songs that my iPhone has, and neither of them match my iPad. I’ve tried logging out of my accounts on all my devices and allowing Apple Music to rebuild itself. I’ve turned iCloud Music Library on/off and I’ve done just about everything else I can think of doing. Nothing I’ve tried works. The only thing that changed since I started using Apple Music is transferring my Beats account to my new Apple Music subscription. I can’t say for sure if that caused all of these problems or not, but it was around the same time. I know I’m not the only one having this problem. There are threads on Apple’s support forums detailing similar issues to the ones I’m having, and I’ve noticed tweets in my stream reporting the same problems. I’m going to listen to what’s left of my music library, and try to figure out all of the songs I have to buy again. I’ll also download Spotify and reactivate the account I cancelled with them a couple of weeks ago.